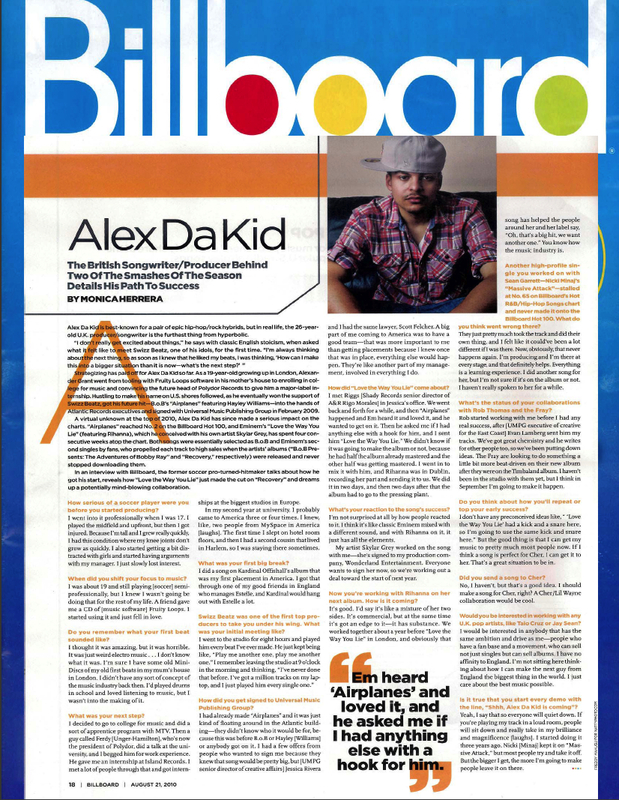 A virtual unknown at the top of 2010, Alex Da Kid has since made a serious impact on the charts. “Airplanes” reached No.2 on the Billboard Hot 100, and Eminem’s “Love The Way You Lie” (featuring Rihanna), which he conceived with his own artist Skylar Grey, has spent four consecutive weeks atop the chart. What’s your reaction to the song’s [“Love The Way You Lie”] success? “I’m not surprised at all by how people reacted to it. I think it’s like classic Eminem mixed with a different sound, and with Rihanna on it, it just has all the elements. To read the entire article, please pick up the August issue of Billboard Magazine; also follow Grey on Twitter to see what she’s up to!